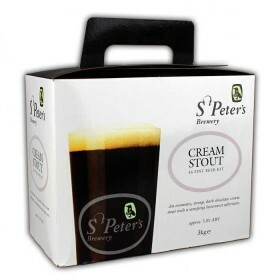 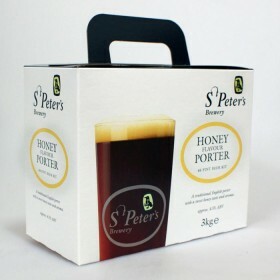 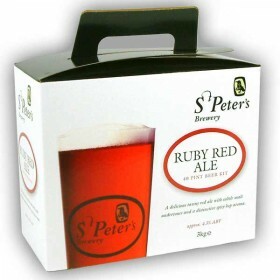 This kit makes 40 pints of St Peters Brewery Ruby Red Ale - a delicious tawny red ale with subtle ma.. 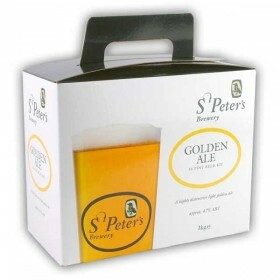 This kit makes 40 pints of St Peters Brewery Golden Ale - a highly distinctive light golden ale.. T.. 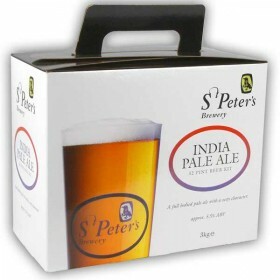 This kit makes 40 pints of St Peters Brewery India Pale Ale - a full sized pale ale with a zesty cha..
Is made using the finest UK malt and hops allowing the home brewer to recreate this brewery style be..
PRE ORDER - AVAILABLE DURING SEPTEMBERThis kit is based on the bronze award-winning recipe of St Pet..